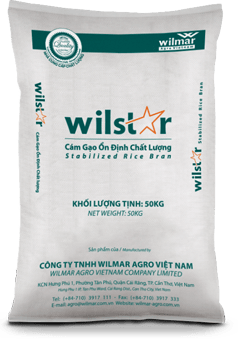 Wilstar - Wilmar Agro Vietnam Co. Ltd.
Wilstar is produced by stabilizing fresh rice bran. The stabilization process prevents rice bran from turning rancid fast. Wilmar Agro Viet Nam Co., Ltd. Copyright © 2019 Wilmar Agro Vietnam. All rights reserves. Site by Viivue.